Mount Jackson rising high above Crawford Notch is a mostly bare summit affording excellent views of the Dry River Wilderness and the Presidential Range to the north and Willey Range and beyond to the south. 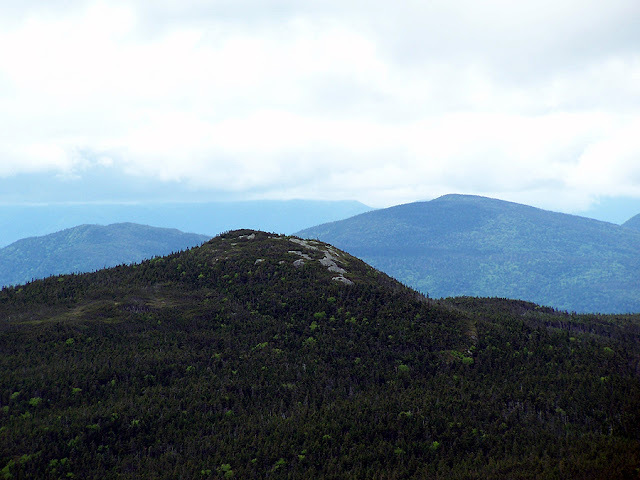 The summit can be reached relatively easy by heading up the Webster-Jackson trail (2.4 miles, 2,150 feet elevation gained) with moderate grades with ok to rough footing. The trail is in the woods except for the last hundred feet up some steep rock ledges that can be difficult when wet and dangerous when icy.